After downsizing plans for its condominium tower in Sunny Isles Beach, Verzasca Group has launched sales for Aurora, a 17-story building. The Bay Harbor Islands-based developer, which has Russian backers, is taking reservations for the 61-unit mixed-use project. Condos, on floors four to 17, will range from 1,500 square feet to 2,100 square feet, according to a press release. In July, the Sunny Isles Beach Commission approved plans for the project, which sits on the site of a Denny’s restaurant along the west side of Collins Avenue. Gennady Barsky, executive chairman of the Verzasca Group, previously told The Real Deal that units would be less than $1,000 per square foot – compared to $1,500 to $2,000 per square foot on the ocean side of Collins Avenue. Two and three-bedroom units will start in the upper $600s per square foot, or low $800,000s, according to this week’s announcement. John Warsing, formerly with Devstar Realty and Turnberry International Realty, will lead sales for Aurora. Verzasca downsized the condo design by reducing the height of the building and the number of units. 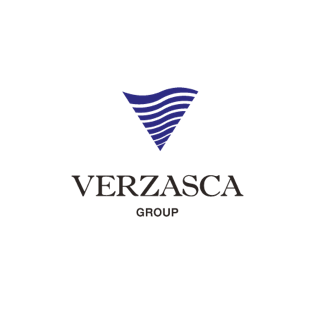 Verzasca cut the number of residential units to 61 from 77 and the height of the building, including mechanical fixtures, to 204 feet from 210 feet. Aurora is being designed by architect Luis Revuelta of Revuelta Architecture International. The development group also dropped its original plan to put a restaurant on the ground floor of the condominium building and proposed developing the floor as commercial space instead. The second and third floors will be used for parking. Developers also withdrew their request to purchase transfers of development rights, or TDRs, from the city. Verzasca originally sought TDRs that would add 38,000 square feet to the permitted size of the condo project.